We hope over time to build the educational resources that you can access. If you know of any educational resources please let us know. 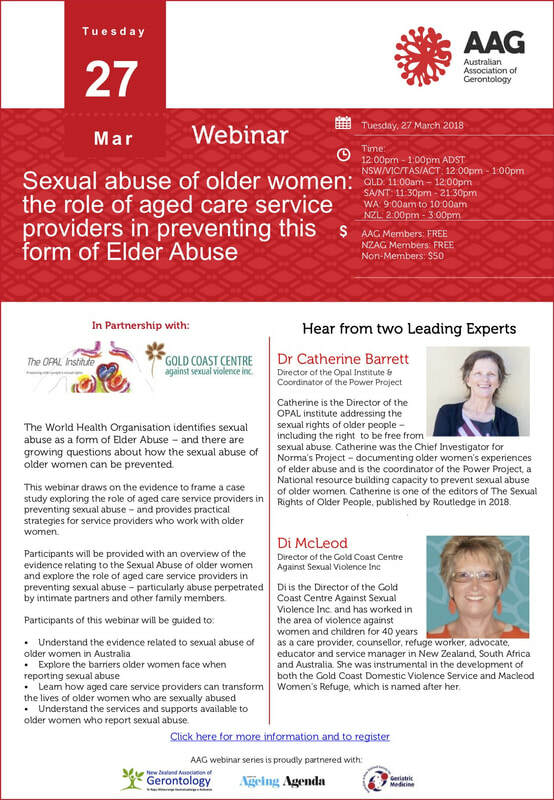 In March 2018 the AAG will host a Webinar on preventing the sexual abuse of older women. To register for this webinar please go to the AAG website by clicking the link here.